Title: "Deep Neural Network and its Application on Multimedia Processing"
Abstract: This topic introduces the deep learning and its application in different areas of multidemida processing. the Firstly, the brief history of NN is reviewed. Thereafter, the latest development of deep learning is coverd. Thirdly, its application on multimedia processing is introduced, including voice recognition, image recoginition, natural language processing and etc. Finally, the problem of deep learning is also mentioned. Biography: Prof. SU received his PhD in the Department of Computer Science and Engineering at the Hong Kong University of Science and Technology in 2007,. 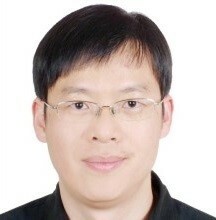 He obtained his master degree from Xiamen University in 2002 and Bachelor degree from China University of Petroleum in 1995. He has published papers in top conference and journals, including ICDE, EDBT, TODS, TKDE and TWEB. His research interests include Deep Web, Data Mining, Machine Learning, Word Sense Disambiguation, and Natural Language Processing.